Brand New Carnaby Stamford Lodge 39x13 2 bedroom located on Gelliwig Farm Caravan Park. Situated on a generous plot with views towards Hells Mouth and Rhiw mountain. 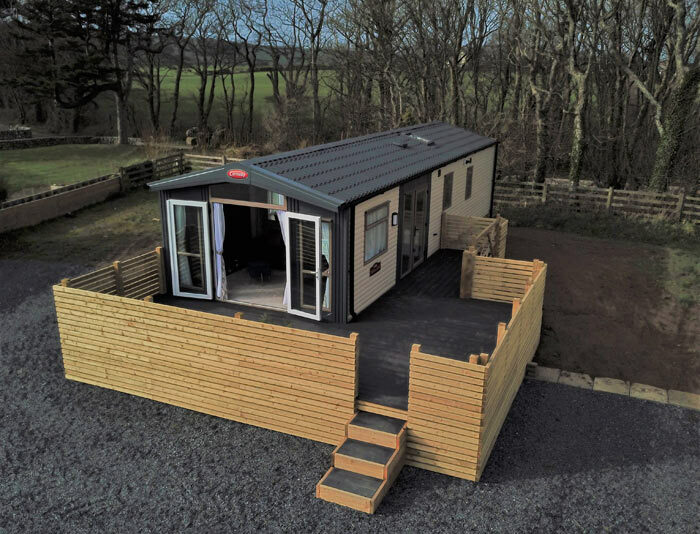 Brand new wrap around decking included, fully sited and ready to go on a quiet family site.